If you are happy to have a pet as a member of your family, you are not alone. It has been estimated that about 164 million Americans own some type of pet. Taking care of pets can often become a large expense. Those who own pets have to invest in things like food, toys and veterinary care to make sure their companions are kept as happy as can be. 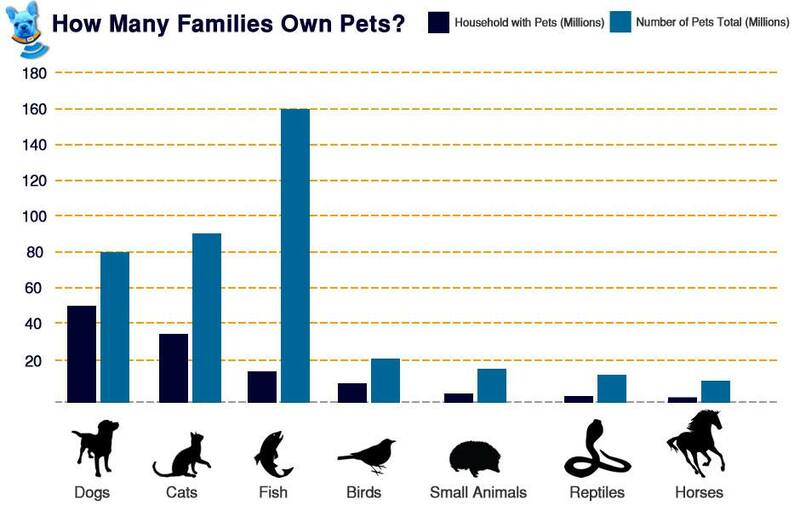 Do you know how much Americans spend on their pets every year? According to CBS News, in 2013, Americans spent a record $56 billion on their pets. The largest portion of this was spent on food and veterinary care. To give you an idea of how much this boils down to, it is more money than Americans spent on coffee and bottled water combined! Though it seems Americans know how to spend money on their pets, some fail to notice potential dangers that exist in their own homes. This guide was created to make you aware of the many threats that exist in the average home, in order to modify your home environment, making it safer for your beloved pets, ASAP. Let’s begin! Most homes are full of items that have the ability to be harmful to pets. For example, tossing old razors into your bathroom trash can is a particularly troubling habit. If you leave your chocolate candy bar out on the counter-top, don’t be surprised when you are on your way to the vet’s office. When you decide you want to have a pet of your own, it becomes your responsibility to keep them out of harm’s way. It is important to identify what items are around your house that may be dangerous. 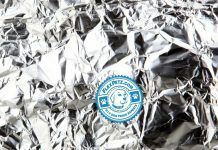 Should your pet get into any of these items, they can get into serious trouble. 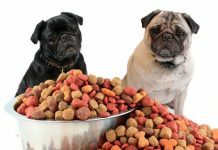 Though some of these things are used from day to day, it is worth the effort to keep them stored out of reach of your pets. It is common for live meat to contain bacteria, such as in the bodies of rodents. The safest, healthiest food has been pre-killed and stored in a freezer for 30 days. If you place a live rodent in your reptile’s cage or tank, you risk your pet becoming harmed. This is because your reptile cannot camouflage himself or actively hunt as he is not in his natural habitat. Live prey has the potential to scratch or bite your reptile. There is no point of giving your reptile iceberg lettuce as it has little nutritional content. For herbivores, dark leafy greens are ideal. Don’t give your reptile kale, spinach, broccoli, cabbage or romaine lettuce. This is because they contain an ingredient that prevents the absorption of calcium. Insectivores: Avoid giving your reptile spiders, ticks, centipedes, millipedes, scorpions or fireflies. Fireflies are particularly toxic as they contain a toxin they use for self-defense known as lucibufagin, which is very poisonous to reptiles. Omnivores: As omnivores consume both plants and animals, follow the suggestions for carnivores and herbivores. While prevention is key, at times it is inevitable that an animal can get into something they shouldn’t. In this situation, the first thing you should do is contact your veterinarian. They will let you know how serious of an issue it is. For example, if your 75-pound dog eats a piece of chocolate, they might tell you not to worry, but if it is something more serious, they will let you know what steps to take to save your pet. If you are unable to contact your veterinarian and you are concerned about your pet, you have the option of calling the ASPCA Animal Poison Control Center at (888) 426-4435. However, you should be aware that you will be charged $65 per case. There is no one recipe for pet-proofing your home, because each home and each pet can be different. 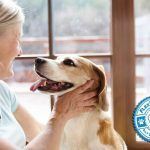 To have a unique assessment of pet safety in your home, it may benefit you to speak with an expert. For now, let’s walk you through each room of the house to talk about the common dangers found in each area and suggest ways that you can handle them. There are more dangers for you and your pets in the kitchen area than any other. At least humans know what dangers to avoid. Pets aren’t aware that a hot stove can burn them, a sharp knife can cut them or that food from the trash can may make them sick. The best way to avoid the dangers of the kitchen is to keep your pet out of the kitchen altogether. This can usually be done by setting up a pet gate, which makes you have to let them in the kitchen yourself. If you have an open kitchen and this won’t work for you, another option to try is an indoor pet barrier. With this device, you place it in the area you don’t want your dog to have access to. He wears a special collar that delivers a mild, static charge if he comes near the area where the transmitter is located. Potential Danger: Kitchen trash cans contain scraps of food and sharp objects at times. What to Do: Try purchasing a special garbage can that has a locking lid. Another option is to keep the waste can stored inside of a closed pantry or cabinet door. Potential Danger: Inside kitchen cabinets, there are many items that can be dangerous for pets. Cleaning supplies, breakable glass dishes and sharp utensils are a few of these. Most animals are unable to open cabinet doors, but it is still best to have a backup plan in case they are somehow able to get inside. What to Do: Installing child locks on your cabinet doors will solve this problem. There is no need to worry about specific items in the garbage or cabinets, as long as your pet is unable to have access to the area. The good news is that most bedroom and living room areas are relatively safe for pets. However, as these tend to be the most popular rooms of the house for pets and humans to share, let’s take a look at a few safety hazards that could be problematic. Potential Danger: Dogs who love to chew can get themselves in big trouble if they decide to munch on an electrical cord. A jolt of harmful electricity can put your pet in grave danger. What to Do: Whenever you can, keep electrical cords off of the ground or out of reach. In places where this is not an option, there are a few things you can do. Try blocking cords with furniture, taping them to the walls, or spraying a chew deterrent spray on them. 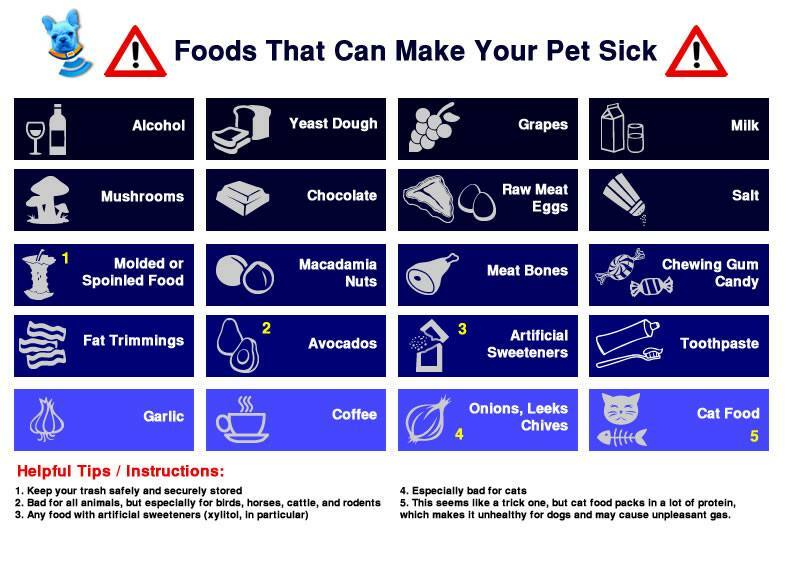 Potential Danger: More often than not, there are little items floating around your home that could become a choking hazard for a pet that enjoys chewing on random objects. For example, paper clips, jewelry, pens and batteries could be a real danger if your pet is curious enough to see what they taste like. What to Do: Take a visual inventory of everything in your living space that could be a risk, and store it somewhere that your pet cannot reach. Try placing these items high upon a shelf, inside a closet or within a box that has a sealed lid that won’t be able to be opened easily. Potential Danger: Pets that are smaller may have a difficult time jumping on and off of pieces of furniture that are tall, particularly when they begin getting older. You wouldn’t want your pets to endanger themselves from just trying to get up as high as you are. What to Do: Buy some steps or make a ramp so that they are able to get to their favorite spots with ease. Some pets do not spend any time in the garage, while others may frequent there during different times of the day. Some pets might stay in the garage when you are away or at nighttime. If your pets spend any time at all in the garage, you will need to prepare it for them. Potential Danger: Some small tools can be a choking hazard, and sharp tools can cause cuts or other injuries. What to Do: Make sure all of your tools are out of reach. 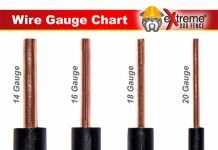 This may mean you need to put them away in cabinets, behind a closed door in a workroom, or inside of a locked toolbox. If you don’t have anywhere safe to store your tools, it may be worth the investment to purchase a storage cabinet. Potential Danger: Homeowners are completely aware of the temperature they keep their home, but often have no idea of the temperature of their garage. This is fine, unless you plan on keeping your animals in the garage at all. What to Do: Make sure you are prepared for extreme temperatures, either hot or cold. Keep a fan available for hot summer months and have a space heater for when it is too cold. Better yet, if the weather forecast warns of extreme weather, find them a safe spot inside of the house rather than risking their health. Potential Danger: Many dangerous chemicals such as cleaning supplies, automotive chemicals or lawn fertilizers get stored in the garage. 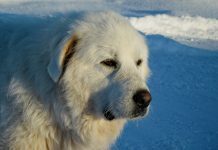 Antifreeze, which has a sweet taste is particularly deadly for pets. All of these chemicals should be stored in a place that cannot be accessed by your pets. What to Do: Wherever you have found to put your tools, keep your chemicals there as well. They should be behind a closed door, a lock or some other type of barrier. These small rooms should generally stay off limits to your pets. If you don’t wish to do this, you will need to pet-proof them, just like the rest of your home. 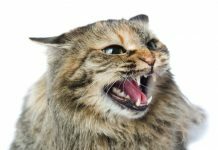 Specifically, if you use one of these rooms to keep your pet when you leave home, or if your pet enjoys one of them as their comfortable space, you need to be sure that everything that could cause harm is kept out of their reach. Potential Danger: Prescription medicines and cleaning supplies must be kept out of reach. What to Do: Keep these items behind closed cabinets or up high where they cannot be reached. If you are concerned about your pet getting into cabinets, put child locks on them. Appliances Potential Danger: If you have a cat, chances are they like to curl up in small spaces. This makes your washer and dryer a potentially deadly location. What to Do: Every time you use the washer and dryer, check inside of them to make sure your cat is not in there. To further avoid this situation, keep the doors closed in between use. Potential Danger: Chemicals are used to clean the toilet. This makes toilet water dangerous for your pets. In addition to this, toilet water is definitely unsanitary. 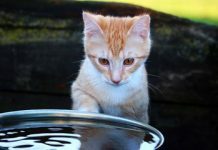 What to Do: Your pet isn’t likely to be tempted to drink toilet water if they have plenty of fresh, clean water available to them at all times in their own water bowl. Another precaution you can take is to keep the toilet lid closed. The areas outdoors where we like to spend with our pets can be hazardous as well, particularly for dogs. If you want them to be able to spend time with you on your porch or balcony, take some time to make sure they will be safe there. Potential Danger: If you have a balcony that is high up, this can be particularly dangerous to pets. 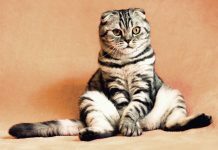 If your cat falls off, she may survive but if it is your dog, he is likely to become severely injured. What to Do: If there is any space along the edge that your pet could fit through, be sure to block it off with a mini-fence. Potential Danger: There may be crawl spaces present underneath decks and porches. Some of them may be too tight and your pet may become stuck in them. What to Do: Block off your crawl spaces with a mesh screen. Should they be tempted to chase a lizard, for example, they won’t be able to have access. Grills and Fire Pits Potential Danger: Your pets may be enticed by the smell of food grilling. If your dog wants a taste of what is on your grill, he is likely to get burned. What to Do: Watch your pet extra carefully when you are grilling out. If you have a yard, chances are that your pet is going to spend a lot of time in it. The first thing to do is check your yard for any poisonous plants. Next, it is important that if you let your pet out without a leash, that you make sure they won’t be able to escape. Potential Danger: If your pet goes missing, this can be a very troubling experience. This is because if they get out of your yard, they are in danger of fast cars, aggressive animals or humans who may be tempted to take your pet home with them. What to Do: If you plan on letting your dog into your yard, having a strong fence is key. This includes both a standard fence and an electric dog fence as an alternative. If you have a standard fence, be sure to check for spots that your pet may be able to slip through. If your dog likes to dig, you may want to try installing an electric dog fence instead. 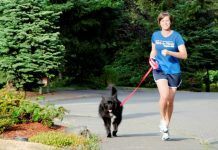 If you really want to be sure of where your pet is at all times, try getting a GPS system that will keep track of their location. Potential Danger: Some plants that are beautiful to look at may be poisonous to our pets. What to Do: Learn which plants are poisonous to your pets, by looking at this list. Potential Danger: Common items that are choking hazards in backyards include rocks, sticks or fruit pits. Anything that looks like it might be tasty to chew on can be a hazard. What to Do: Watch your pet when they are in your yard and keep an eye out for any potentially dangerous objects so you can get rid of them. A majority of pets kept in the United States are dogs and cats. However, we should take a look at the safety of animals that are kept in cages and tanks, because more than 10 million Americans own fish, reptiles, rodents, ferrets, rabbits, hamsters or turtles. To begin with, it is important to forget about the image of a goldfish simply kept in a fishbowl. Fish need plenty of space and water to swim around in. This is why you need to invest in a larger aquarium if you would like to keep your fish around. In addition to this, you will need filters in order to keep their water clean. Having plants in their tank will also support their health. It is also important to understand that you will need to clean the fish’s aquarium regularly. Once a month, you should change out ¼ of the water in the aquarium. You also should watch the thermometer in the tank to make sure it is kept at an acceptable level. About once a month, you will need to clean out any algae that has built up. The first thing you need to think about is your bird’s cage. Is it large enough for your bird to comfortably live in? Check the bars. Are they close enough so that he won’t be able to escape or get his head stuck in between them? Your birdcage should have perches, as well. 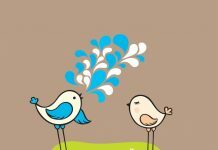 Your bird’s cage should be kept clean and his water bowl filled regularly. Birds are especially sensitive to varying temperatures. This is why the room where your birdcage is located should have a temperature that is consistent. 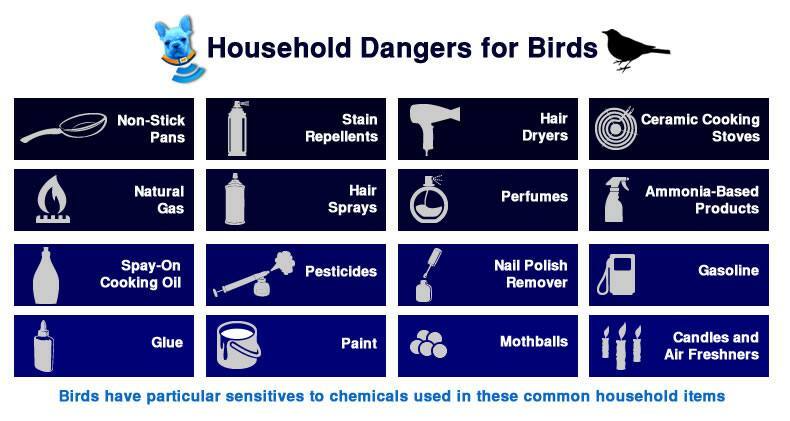 Birds are also particularly sensitive to several common household chemicals. 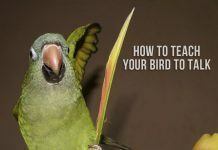 When you let your birds out of their cage and allow them to fly around your home, be aware of dangers they may encounter when they are flying. Be sure that your ceiling fans are not on. It is a good idea to keep your windows covered so that they will not try and fly through them. It is wise to limit the rooms they are able to access. Be sure to keep them away from other household pets like cats, which may cause them harm. You should know that by having a reptile or amphibian, you run the risk of contracting Salmonella. This is a germ that can cause serious illness that could even be fatal. 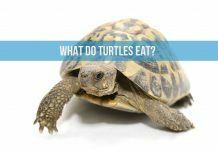 Salmonella can be carried by turtles on their outer skin and shell. Many other reptiles and amphibians carry it on their skin as well. Should you become infected with Salmonella, you may have the following symptoms within 6 to 72 hours after contact: diarrhea, fever, stomach pain, nausea, vomiting and headache. Symptoms may be experienced anywhere from 2 days to 1 week. 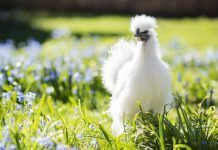 Though most people with Salmonella recover without treatment, some require hospitalization. Do not handle a reptile if you are ill, elderly, pregnant or under the age of five. When you handle the reptile, keep your hands and other objects away from your mouth. After you handle a reptile, their cage or cage items, wash your hands immediately. Do not kiss your reptile. After handling your pet, wash your hands thoroughly with soap and water. If your home has young children, senior citizens or someone with a weakened immune system, it is best to not keep reptiles in the home. Clean the home of your pet outside of the house and be sure to avoid draining water into your kitchen sink. 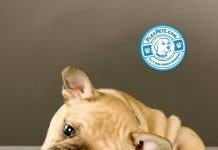 Periodically disinfect any surfaces your pet comes in contact with. Don’t bathe your pets inside of your sink. Avoid keeping food or drinks around your animals. To begin, make sure you have gone through the list and pet-proofed your home. There are also some things you need to do in order to prepare your pet in the event of a natural disaster. 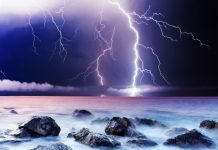 While the disaster that could happen may vary by your location, the precautionary steps you should take are pretty much the same. 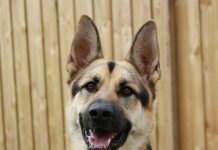 The systems that are in place in the event of an emergency rarely include what to do about your pets. This means that it is your responsibility to make sure you are prepared ahead of time. You don’t want to have to make the choice whether to stay and risk the safety of your family, or to leave your pet behind. Here are a few things you can do in order to prepare for a possible natural disaster. 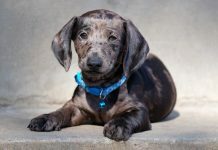 Make sure your pet can be easily identified: Your pets need to always be wearing their collar, which has an identification tag with your contact information displayed on it. 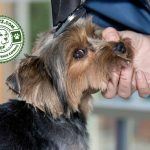 As an extra precaution, it is a good idea to have your pet microchipped. 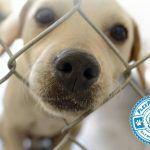 Properly identifying your pet will help you become reunited in the event you are separated. Keep your pet inside: In the event of a storm or flood, your pet that normally stays outdoors will be at a greater risk. It is a better idea to find a nice spot inside for them to stay in. Keep their vaccinations current: Making sure that their vaccinations are up to date will help determine what risks they may encounter if they escape, and may also be a factor in where you are allowed to take them. You wouldn’t want to be turned away from a place of shelter when you need it because your pet hasn’t been vaccinated. Create an emergency kit: Consider all of the things you might need, should you need to travel for a few days with your dog. This would include food, a leash, poop bags, water, medications and their veterinary paperwork. Keeping everything together means you will be ready to leave as quickly as possible should you need to. 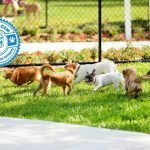 Compile a list of local pet-friendly lodging: Utilize websites that specialize in knowing who welcomes pets such as Bring Fido, Pet-Friendly Hotels and Pets Welcome. Having a pet so often adds value to our lives. 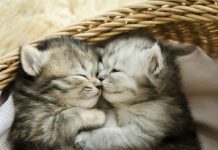 They help to lower our stress levels, help us to overcome depression and give us plenty of love and affection. To return the favor, it is our responsibility to care for them, making sure that harm stays out of their way, if at all possible. The careful attention that you give to their surroundings will pay for itself when you receive the benefits of having pets that are happy, healthy and safe.